The curse of the mummy began when many terrible events occurred after the discovery of King Tut’s tomb. Legend has it that anyone who dared to open the tomb would suffer the wrath of the mummy. Because mummies have been associated with many magical powers throughout history, some of the mummies found from Egypt were ground into a fine powder and sold as mystical mummy powder. It’s believed the powder had magical healing powers and it wasn’t until the discovery of King Tut and the hype of the media that things would change forever. The hype began when Lord Carnarvon, the person who funded the dig of King Tut’s Tomb, died shortly after the discovery. The path to his death began in the spring of 1923 when he was bitten on the cheek by a mosquito. During his morning shaving routines, he further aggravated the mosquito bite. It soon became infected and Lord Carnarvon found himself ill. He suffered a high fever and chills. A doctor was sent to examine him but medical attention arrived too late and Lord Carnarvon died. At that exact moment the lights in Cairo mysteriously went out. Once Carnarvon died the media went wild with stories of his death. They claimed King Tut wanted vengeance and announced a mummy’s curse, which targeted those who had entered the tomb. Not only did the death of Carnarvon get all the people in an uproar but other stories began to surface as well. Of the stories that surfaced, two remain prominent. One of the prominent stories is that a cobra killed Howard Carter’s (explorer who discovered King Tut’s burial place) pet canary after the discovery of King Tut’s tomb. The other story is that Lord Carnarvon’s dog howled and dropped dead at two in the morning when Carnarvon died. What is interesting is that Howard Carter lived a decade after this major discovery. So what happened to Howard Carter during all this hype? Howard Carter spent his last years logging and recording every artifact found in the tomb. Why didn’t he suffer the curse of the mummy? He was, after all, the first to enter the tomb. 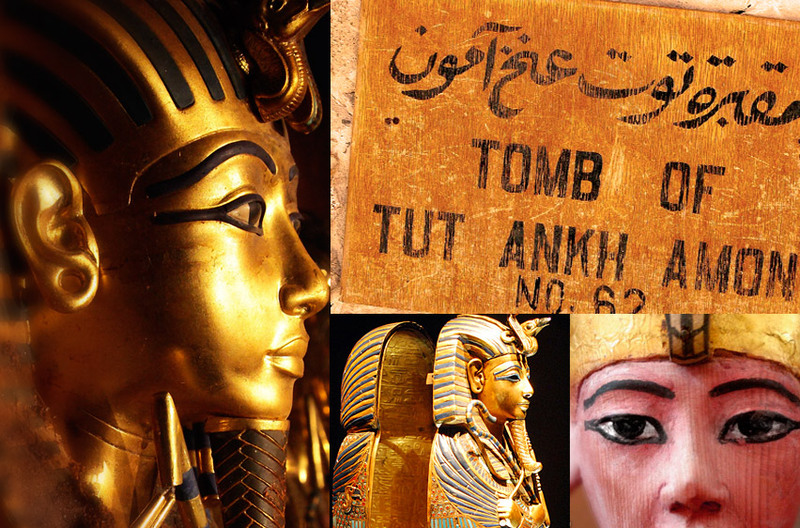 Did King Tut’s Tomb really unleash a curse? New findings are showing that bacteria on the wall of the tomb might have been the cause of the curse. The bacteria would release spores into the air allowing it to be breathed. This in turn caused people who came into contact with these spores to become ill. Could this be what killed Lord Carnarvon? It appears that this could have contributed to his demise, as well as the fact that he was not in the best of health. Whether the mummy’s curse is fact or fiction, this story seems to interest people even today. The myth of the curse has remained with King Tut and continues to make people question as to whether the curse was really unleashed. What is known is that when you mix propaganda, facts, and hype you get a story that can be exciting. It all really comes down to one question. Do you believe in the curse of the mummy? We will leave that for you to decide. Whether the mummy’s curse is fact or fiction, this story seems to interest people even today. The myth of the curse has remained with King Tut and continues to make people question as to whether the curse was really unleashed. What is known is that when you mix. What is known is that when you mix propaganda, facts, and hype you get a story that can be exciting. It all really comes down to one question. Do you believe in the curse of the mummy? We will leave that for you to decide.